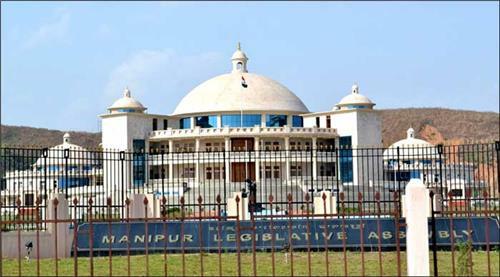 A State Cabinet meeting with Chief Minister N Biren Singh in the chair has recommended commencement of the Budget Session of the 11th Manipur Legislative Assembly from February 20. The meeting was held in the Cabinet Hall of the Chief Minister’s Secretariat on Monday. Conveying this to the reporters after the meeting, the government’s spokesperson Thongam Biswajit who holds many portfolios including works minister as a Cabinet minister said that the State Government would approach the Governor to convene the Budget session from February 20 as per the Cabinet meeting recommendation. The Cabinet also decided to open a mobile laboratory system at the 40 interior places which do not have access to public health centres for screening non-communicable diseases, the spokesperson said. The necessary medical equipment for the purpose including the materials for screening non-communicable diseases etc would also be fitted on bikes. The State Cabinet meeting has also given its consent to bring media persons as well as newspaper distributors who are members of All Manipur Newspaper Sales and Distributors Association under Chief Ministergi Hakselgi Tengbang(CMHT),a health scheme. But the economic conditions of media persons and newspaper distributors would be taken into consideration before they are given benefits under the scheme, he added. The CMHT will which cover financial assistance up to Rs two lakh per eligible family identified from the Socio Economic Caste Census in the treatment of seven critical identified critical ailments – cardiovascular diseases, kidney ailments, neurological conditions, liver ailments, cancer, neo-natal diseases and burns, to the poor at government hospitals, health centres and other empanelled selected private hospitals. Similarly under the School Phagat-hanshiMission launched recently by Chief Minister Biren, a model pre-primary school would be established in each of the 60 Assembly constituencies. The scheme was launched on January 18 with an ambitious objective to give renewed thrust towards the improvement of government schools both in terms of physical and manpower infrastructure. For the proposed schools, 120 rhyme teachers would be engaged at the rate of two rhyme teachers for each school. At the same time it also further agreed to fill up 323 approved posts currently lying vacant at aided schools. It is also said the senior ones among the unapproved teachers currently engaged in aided schools would be given preference while filling up the 323 approved but vacant posts.